Recently I got to test the new products that were launching in the Roland Sands Design Fall Line and while all of them were great the Ginger Jacket stood out the most simply because there's not anything else like it out there on the market. It's also very well thought out and constructed. This women's jacket is a true utilitarian style jacket with just the right amount of femininity. It's made from premium British Millerain waxed cotton that is water repellent (great for me here in Florida), lightweight and has a soft and supple feel yet still offers top-notch protection. The classic fit at 3/4 length allows this jacket to be very versatile and its fully adjustable waist means you can dial in the fit just right. Plenty of storage pockets on the Ginger for all the things you carry with you on your rides or pick up along the way. 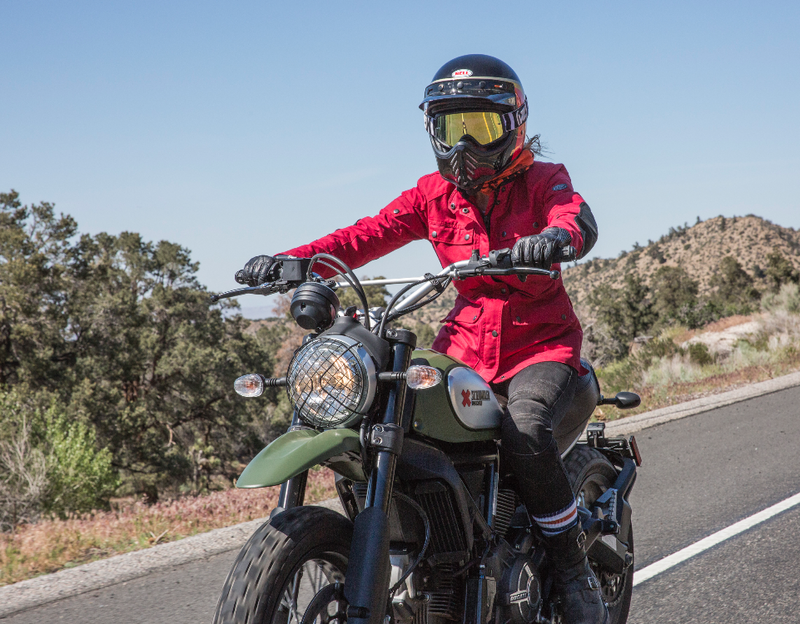 I can see this jacket being worn by adventure riders as well as cruiser riders who want a more fashion feel on and off the bike.